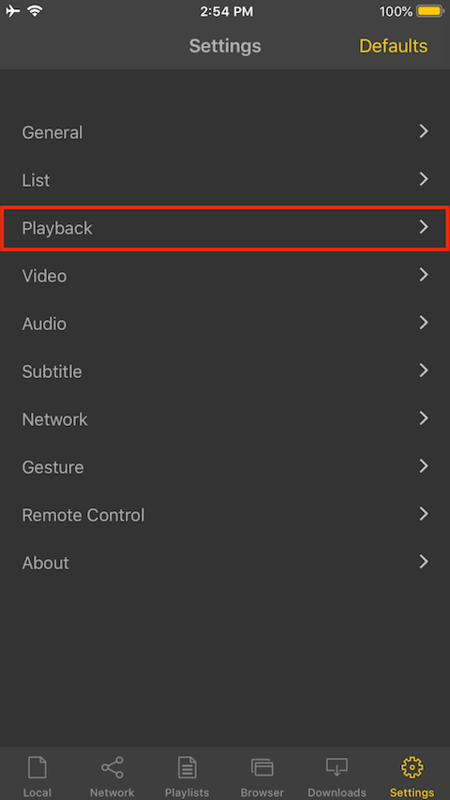 Go to Settings and tap Playback. 1) If you choose Auto, the orientation depends on device’s position. 2) If you choose Manual, the orientation can be set at player. 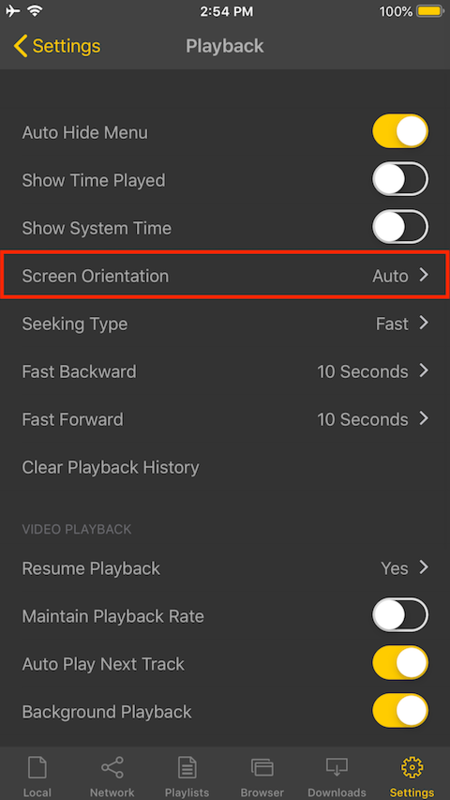 3) If you choose Landscape, the screen will always set landscape. 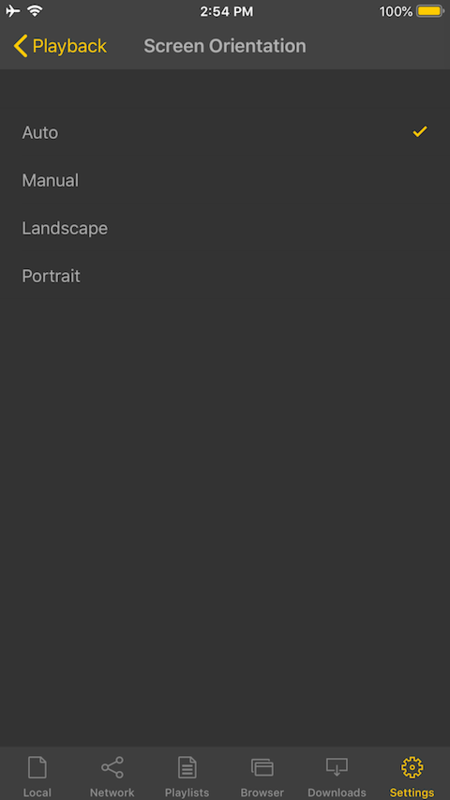 If you choose Portrait, the screen will always set portrait.